Most people in Newcastle have heard of Sir Charles Parsons, the eminent engineer whose invention of a multi-stage steam turbine revolutionised marine propulsion and electrical power generation, making him world famous in his lifetime and greatly respected still. Parsons’ Heaton factory was a huge local employer for many decades. It survives today as part of the global firm, Siemens. But, of course, Charles Parsons did not make his huge strides in engineering alone. He was ably supported by a highly skilled workforce, including brilliant engineers and mathematicians, some of whom were much better known in their life times than they are today. Two that certainly deserve to be remembered were siblings, Edith Anne Stoney and her brother, George Gerald. Edith worked for Parsons only briefly but her contribution was crucial. Her brother worked for Parsons and lived in Heaton most of his adult life. This is their story. Dr George Johnstone Stoney (1826-1911), the siblings’ father, was a prominent Irish physicist, who was born near Birr in County Offaly. He worked as an astronomy assistant to Charles Parsons’ father, William, at nearby Birr Castle and he later taught Charles Parsons at Trinity College, Dublin. Stoney is best known for introducing the term ‘electron’ as the fundamental unit quantity of electricity. He and his wife, Margaret Sophia, had five children whom they home educated. Perhaps not surprisingly, the Stoney children went on to have illustrious careers. Robert Bindon became a doctor in Australia; Gertrude Rose was an artist; Florence Ada ( awarded the OBE in 1919), the first female radiologist in the UK. But it is George Gerald and Edith Anne who have the Heaton connection. Edith was born on 6 January 1869 and soon showed herself to be a talented mathematician. She won a scholarship to Newham College Cambridge where, in 1893, she achieved a first in the Part 1 Tripos examination. At that time, and for another 50 years afterwards, women were not awarded degrees at Cambridge so she did not officially graduate but she was later awarded both a BA and MA by Trinity College Dublin. It looks like the sort of reference someone might write for a perspective employer except that, a sign of the times, it doesn’t mention Edith by name and is addressed to her father. After working in Heaton, Edith went on to teach mathematics at Cheltenham Ladies’ College and then lecture in physics at the London School of Medicine for Women in London. There she set up a laboratory and designed the physics course. In 1901, she and her sister, Florence, opened a new x-ray service at London’s Royal Free Hospital and she became actively involved in the women’s suffrage movement as well becoming the first treasurer of the British Federation of University Women, a post she held from 1909-1915. During WW1, both sisters offered their service to the British Red Cross to provide a state of the art radiological service to the troops in Europe. In the x-ray facilities at a new 250 bed hospital near Troyes in France, planned and operated by her, she used stereoscopy to localise bullets and shrapnel and pioneered the use of x-rays in the diagnosis of gas gangrene, saving many lives. She was posted to Serbia, Macedonia, Greece and France again, serving in dangerous war zones for the duration of the war. The hospitals in which she worked were repeatedly shelled and evacuated but she continued to do what she considered to be her duty. Her war service was recognised by several countries. Among her awards were the French Croix de Guerre and Serbia’s Order of St Sava, as well as British Victory Medals. After the war, Edith returned to England, where she lectured at King’s College for Women. In her retirement, she resumed work with the British Federation for University Women and in 1936, in memory of her father and sister, she established the Johnstone and Florence Stoney Studentship, which is still administered by the British Federation of Women Graduates to support women to carry out research overseas in biological, geological, meteorological or radiological science. Edith Anne Stoney died on 25 June 1938, aged 69. Her importance is shown by the obituaries which appeared in ‘The Times’, ‘The Lancet’ and ‘Nature’. She will be remembered for her pioneering work in medical physics, her wartime bravery and her support for women’s causes. 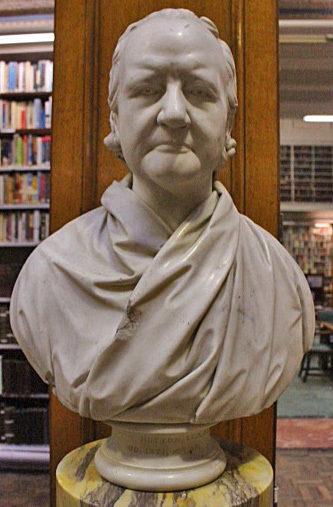 Although her time in Newcastle was brief, she deserves also to be remembered for her contribution to the work in Heaton for which Charles Parsons is rightly lauded. But Edith’s elder brother had a much longer association with Parsons – and with Heaton. George Gerald Stoney was born in Dublin on 28 November 1863, the first child of Margaret and George Johnstone Stoney. Like his sister, he was educated at home and gained a particularly good grounding in science. For example at a young age, he learnt about the silvering of mirrors which was to become very useful in his working life. In 1882, when 19 years old, he went to Trinity College, Dublin. After four years he left with a first class honours in mathematics and a gold medal in experimental science. The following year he was awarded an engineering degree. After working for a year with his uncle in Dublin, he came to England in 1888 to work alongside the more senior Charles Parsons for Clarke, Chapman and Company in Gateshead, earning ten shillings a week as an apprentice draughtsman. Here he first became acquainted with the compound steam turbine and did associated drawings for Parsons. When, the following year, Parsons left the firm, after a disagreement on the pace at which work was progressing in the turbine field, to set up his own company in Heaton, Stoney was one of a dozen or so Clarke Chapman employees to follow him. He first worked as a fitter, earning £2 10s. The 1891 Census shows Stoney living as a lodger at 69 Seventh Avenue, Heaton in the home of widow, Jane Beckett and her two working sons, John and William. There is ample evidence of Gerald (as he was known) Stoney’s importance to Parsons even in the early days. A year later, he was given a share option. He put £200 into the company, which was matched by Parsons. And, in 1895, aged 32, he was named Chief Designer of the steam turbine department and Chief Electrical Engineer for high speed dynamos and alternators. He was elected Associate Member on 4 February 1896 when his address was given as 118 Meldon Terrace, Heaton. It was around this time that Parsons was finally successful in his almost obsessive quest to apply the steam turbine to marine engineering. He had conceived and built ‘Turbinia’ which he was determined to make the fastest ship in the world. There were many trials of the ship in the Tyne and off the Northumberland coast at which Parsons and Stoney were always among the small group on board. After each trial modifications and improvements were made and the vessel was put to sea again. At every stage, Stoney was at the forefront. Finally on 1 April 1897, as ‘Turbinia’, with Charles Parsons on the bridge and Gerald Stoney next to him as usual, made its way back up the Tyne after its latest sea trial , ‘at the modest pace allowed by local regulations‘ it was noted that ‘the river was nearly empty, the tide slack and the water smooth’ so Parsons decided to do a full power run along a measured nautical mile. A mean speed of 31.01 knots and a top speed of 32.6 knots was recorded, a record speed for any vessel. Charles Parsons had achieved his aim of adapting the steam turbine for marine propulsion. Parsons’ first big opportunity to show his ship to the world was to come a couple of months later on 26 June 1897, when a review of the fleet to celebrate Queen Victoria’s diamond jubilee was held at Spithead off Portsmouth. A hundred and fifty vessels were present, in an orderly procession when, with Parsons at the helm and Stoney in his customary position alongside him, ‘Turbinia’ made the move, which was to secure its place in naval folklore. ‘At the cost of deliberate disregard of authority, she contrived to give herself an effective advertisement by steaming at astonishing speed between the lines A and B shortly after the royal procession had passed. The patrol boats which attempted to check her adventurous and lawless proceedings were distanced in a twinkling but at last one managed by placing herself athwart her course… Her speed was, as I have said, simply astonishing.’ (27 June 1887). In fact, Parsons denied deliberate lawlessness. He maintained that the watching Prince Henry of Prussia requested that ‘Turbinia’ be brought alongside his flagship and show a turn of speed. Permission was apparently given by the admiralty but there is no doubt that there were a number of close shaves as ‘Turbinia’ squeezed between other crafts at previously unknown speed. Stoney continued to be indispensible to Parsons. For all Parsons’ genius and drive, Stoney seems to have had the better understanding of theory and he could also apply it in practice. In fact, there is evidence that, on occasion, Parson’s intransigence even held Stoney and his own company back when he refused to agree to their suggestions. If a solution to a problem had been found by a competitor, especially a foreign one, rather than adopt it and move on, Parsons more than once insisted that his engineers found a different, original answer. For the most part, Stoney seems to have accepted this trait in his employer and risen to the challenges it posed. In 19 December 1900, Stoney became a full member of the Institution of Civil Engineers. He was now General Manager of C A Parsons and living at 7 Roxburgh Place, Heaton. By 1902, according to the Electoral Register, the Stoneys had moved to ‘Oakley’, an imposing, three storey, semi-detached villa on Heaton Road. In 1903 Stoney was involved in the establishment of the ground breaking Neptune and Carrville Power Stations, which were so crucial to the economy of Tyneside. And in 1904, Parsons again rewarded his trusted lieutenant. He opened a bank account for him into which he deposited £5,000. 4.5% interest could be drawn half yearly or yearly. If Stoney stayed at the firm for another ten years, the capital would be his. Stoney was by now well known in engineering circles. He published many papers and submitted patent applications and he gave lectures throughout Britain and Ireland. In 1905, George Gerald Stoney and Charles Parsons were joint recipients of the Institution of Civil Engineers’ Watt Gold Medal for excellence in engineering and in 1911 Stoney, by now Technical Manager of the entire Heaton works, was elected a Fellow of the Royal Society (FRS) by his peers, evidence that his part in Parsons’ work was recognised outside as well as within the firm. But in 1912, ‘in a moment of extreme vexation’ as he later put it (rows between senior staff at the company seemed common), Gerald Stoney left C A Parsons. At first, he set up as a consultant and he was secretary of one of the Tyneside Irish battalions before, in 1917, being appointed to the Chair of Mechanical Engineering at the Victoria University in Manchester. Stoney’s eminence is shown by a photograph, taken at this time, being in the collection of the National Portrait Gallery. However, Stoney’s wife Isabella, was by this time an invalid and didn’t make the move from Newcastle. Stoney increasingly had to travel between the two cities and when, in 1926, Charles Parsons became aware of the toll this was taking, he offered his old employee the chance to return to Heaton as Director of Research. Stoney’s career had turned full circle as, in his new role, he found himself once again conducting experimental optical work, this time for the recently acquired Grubb Telescope Company, now called Grubb Parsons. He eventually retired in 1930 following the death of his wife. George Gerald Stoney died on 15 May 1942 at his home ‘Oakley’ on Heaton Road. He is buried in Corbridge Cemetery alongside his wife. At the time of his death, he was the last surviving member of the original Turbinia crew. Obituaries and tributes show that he was widely appreciated as one of the pioneers in the development of the steam turbine and high-speed dynamo electric machines. We hope that by retelling his story here, Gerald Stoney, like his sister Edith, will be remembered once again in Heaton and beyond. Researched and written by Arthur Andrews and Chris Jackson, Heaton History Group. Pupils from local schools will study mathematicians, scientists and engineers associated with Heaton and produce artworks, inspired by what they have learnt, some of which will be exhibited at the People’s Theatre in July 2018.
and a range of online and local archival sources. This entry was posted in Research and tagged Brains Steam and Speed, C A Parsons, Edith Anne Stoney, engineer, George Gerald Stoney, Grubb Parsons, Heaton Road, mathematician, Meldon Terrace, Oakley, Parsons' Works, Roxburgh Place, Seventh Avenue, Sir Charles Parsons, WW1 on April 7, 2018 by oldheaton. How many Cragside or Heaton Manor pupils, struggling with their homework, realise that, in High Heaton, they’re following in the footsteps of one of the greatest mathematicians who has ever lived? The remarkable story of the one time Geordie miner, who became one of the most famous and esteemed men of his time, deserves to be better known. Charles, the youngest son of Henry and Eleanor Hutton, was born in what was then called Side-Gate at the corner of what we now know as Percy Street and Gallowgate on 14 August 1737. He was expected to be employed in mining like his father who, by the time of Charles’ birth, seems to have been an under-viewer, which was in effect the deputy manager of a coal mine. But Henry died when Charles was just four years old and his mother married another colliery manager, Francis Fraim, an overman (the third person in the hierarchy of a coal mine). The older boys duly followed their father and stepfather underground but what Charles later viewed as a happy accident, at the age of about seven, changed the direction of the youngest brother’s life. In a quarrel with some other children in the street, Charles’ right elbow was hurt. Being afraid to tell his parents, he apparently concealed the injury for several days by which time surgeons were unable to put the damage right. Charles’ mother, in particular, was said to have worried that her son wouldn’t be able to earn a living in mining as expected and to have ensured that he received a first-class education. The first school Charles attended was in Percy Street, close to the family’s home. It was ‘kept by an old Scottish woman’. According to Hutton, she taught him to read but was no great scholar. Whenever she came to a word which she couldn’t read herself, she directed the children to skip it: ‘for it was Latin’! The family then moved to Benwell and soon after, according to contemporary and friend, John Bruce, to High Heaton. We don’t know exactly where they lived but Charles was able to go to a school across the Ouseburn valley in Jesmond. The school was run by Rev Mr Ivison and was an establishment at which Charles seems to have flourished. Nevertheless, writing at the time of Hutton’s death in 1823, Bruce said that he had recently been shown paperwork which showed that in 1755-6, Charles did work in a pit albeit only briefly – as a hewer (a coalminer who worked underground cutting coal from the seam), at Long Benton colliery, where his step-father was an overman. At around this time, however, Mr Ivison left the Jesmond school and young Charles, by now 18 years old, began teaching there in his place. The school relocated to Stotes Hall which, some older readers may remember, stood on Jesmond Park Road until its demolition in 1953. He then relocated in turn to the Flesh Market, St Nicholas’ Churchyard and Westgate Street in the city centre. There he taught John Scott, famous locally for eloping with Betty Surtees and nationally, after being elevated to the House of Lords with the title Lord Eldon, for his tenure as Lord Chancellor. Lord Eldon spoke glowingly of his old teacher as did many of his pupils. On 3 March 1764, Charles published his first book ‘The Schoolmaster’s Guide or a Complete System of Practical Arithmetic’ . The book was praised for its clarity and precision and the second edition, published two years later, became a standard school textbook for at least 60 years. But it was in Charles Hutton’s next book on measurement, ‘A Treatise on Mensuration both in Theory and Practice’ that he ‘first eminently distinguished himself as a mathematician’. The book, published in 1770, is also notable for the diagrams, which were engraved by a 16 year old Thomas Bewick, at this time an apprentice wood engraver. This volume is evidence of Hutton’s growing reputation: the names of some 600 subscribers who supported its publication, are listed at the front: many are from the North East and include the Duke of Northumberland but others are from as far afield as Aberdeen and Cornwall, many of them schoolteachers. Further evidence of the esteem in which Hutton was held came when the Mayor and Corporation of Newcastle asked him to carry out a survey of the town. A commission to produce an engraved map, based on the survey, followed and, after the terrible floods of 1771 in which Newcastle’s Medieval bridge was washed away, Hutton was approached to produce calculations to inform the design of its replacement. It included a brief to examine ‘properties of arches, thickness of piers, the force of water against them’. A copy of the original map can still be seen in the Lit and Phil. And soon an opportunity arose to cement his reputation in London and beyond. A vacancy was advertised for the post of Professor of Mathematics at the Royal Military Academy at Woolwich. It appears that, at first, Hutton, who was at this time by all accounts a modest, shy young man, was reluctant to apply but his mentor, Robert Shafto, persuaded him. He was up against competition of the highest order but was appointed and moved to London. His wife, Isabella, and his four children, remained in Newcastle. Isabella, who died in 1785, is buried in Jesmond Cemetery. A string of important works followed including ‘The force of Fired Gunpowder, and the initial velocity of Cannon Balls, determined by Experiments’ for which he won the Royal Society’s Copley Medal, still awarded annually for ‘outstanding achievements in research in any branch of science’ anywhere in the world. The list of winners reads like a ‘Who’s Who’ of the sciences and includes Benjamin Franklin, William Herschel, Humphrey Davy, Michael Faraday, Charles Darwin, Louis Pasteur, Joseph Lister, Ernest Rutherford, Albert Einstein, another adopted Heatonian, Charles Algernon Parsons and, more recently, Francis Crick and Stephen Hawking. Charles Hutton, our former pit hewer, is in good company! But he didn’t stop there. Hutton’s discoveries, publications and positions of importance are too numerous to mention here but perhaps his greatest achievement was his series of calculations to ascertain the density of the earth. ‘The calculations… were more laborious and, at the same time, called for more ingenuity than has probably been brought into action by a single person since the preparation of logarithmic tables’. 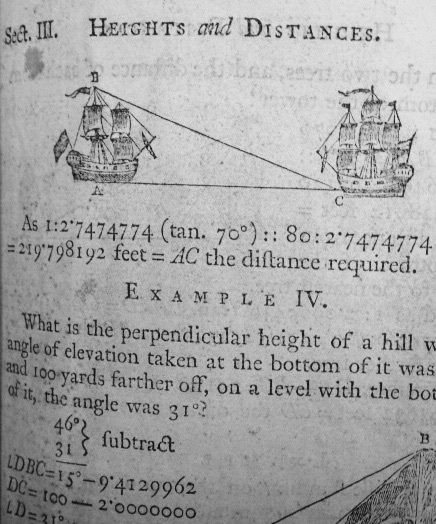 Hutton made the calculations based on measurements taken at Mount Schiehallion in Perthshire by the Astronomer Royal, The Reverend Dr Nevil Maskelyne and his team. Although the result has since been refined, the methodology was a significant scientific breakthrough. 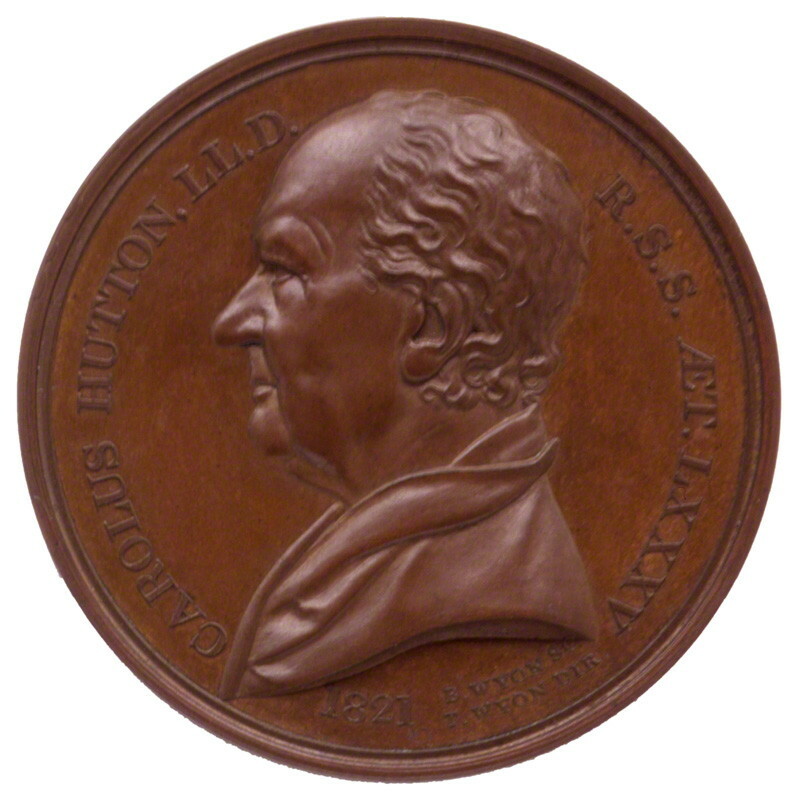 A bi-product was Hutton’s pioneering use of contour lines: geographers, cartographers and walkers, as well as mathematicians, have reason to toast the name of Charles Hutton. Our knowledge of Hutton’s personal life is limited, but we do know that he married for a second time and fathered another daughter. Tragedy struck in 1793 when two of his four daughters died. One of them, Camilla, had married a soldier, who was posted to the West Indies. Camilla and her two year old son, Charles, accompanied him but her husband firstly was injured and then contacted yellow fever, a disease to which his wife also succumbed. Young Charles was both orphaned and a prisoner of war until he was rescued by an uncle and taken to his grandfather in London. Hutton, who was, by this time, 58 years old and his second wife, Margaret, brought up the boy as their own and ensured that he received a good education. Although Hutton did not live to see his success, Charles Blacker Vignoles became a bridge and railway engineer of world renown. He pioneered the use of the flat-bottomed rail, which bears his name. Neatly, one of the first lines in Britain to use the Vignoles Rail was the Newcastle – North Shields line through the area in which the grandfather, who was such an influence upon him, grew up. Charles Hutton himself never came back to Tyneside: although he often said he wanted to return, he suffered persistent ill health in his later years and, according to his letters, he was ultimately deterred by the extreme discomfort he had endured on the journeys of his youth. But he took a great interest in Newcastle’s affairs, regularly corresponding with friends here, remaining a member of the Lit and Phil and regularly supporting a number of local causes financially, among them the Jubilee School in Newcastle and a school teachers’ welfare society. 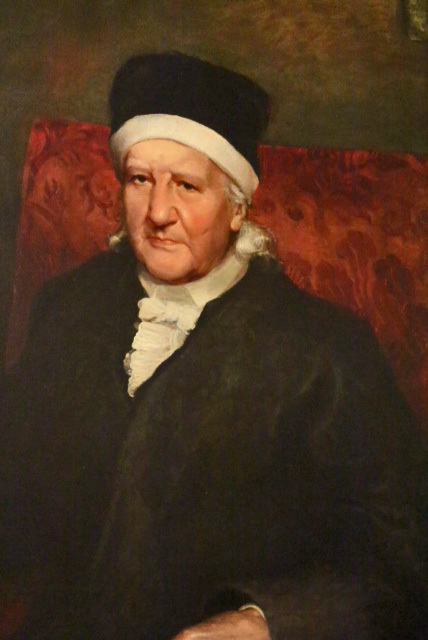 The education of young people in the city of his birth was close to Charles Hutton’s heart right until his death on 27 January 1823 at the age of 85. He deserves to be remembered, especially by Heaton, where he spent some of his formative years. Many thanks to the Literary and Philosophical Society of Newcastle upon Tyne for permission to publish the photographs of the Andrew Morton painting and Sebastian Gahagan bust, and to the National Portrait Gallery, for permission to reproduce the Benjamin Wyon medal. This article, researched and written by Chris Jackson of Heaton History Group, is part of Heaton History Group’s project ‘Brains Steam and Speed: 250 years of mathematics, science and engineering in Heaton‘, funded by Heritage Lottery Fund, with additional funding from Sir James Knott Trust and Heaton History Group. This entry was posted in Research and tagged Brains Steam and Speed, Charles Hutton, Coal mines, High Heaton, Jesmond, Jesmond Vale, mathematician, miners, Sir Charles Parsons on January 5, 2015 by oldheaton.